This is a selected, English-language bibliography of literature about or directly relevant to classical guitar making (lutherie). It aims to be comprehensive but never complete. It relates to the making of the modern classical (‘Spanish’) guitar, i.e. the design of instrument going back to Antonio de Torres in the mid-19th century, not the steel-stringed (‘folk’) guitar (although I acknowledge the overlap, but want to keep it focused). 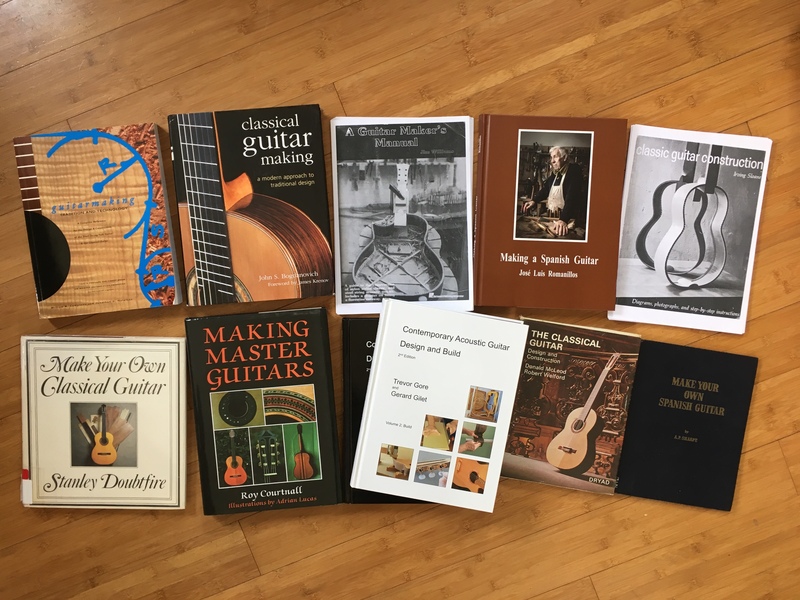 There is a lot of literature aimed at or about players of the classical guitar, much of which is not included here unless it is likely to be of interest to luthiers. Finally, there is a constantly growing number of articles published in scientific journals that could also be listed here but on the whole have not been included. Books in the ‘Science’ section offer a sufficiently in-depth discussion of acoustics, and structural engineering and make reference to the peer-reviewed literature. Suggested additions from enthusiasts, luthiers and organologists are very welcome in the comment box below. Thank you. Romanillos, Jose L. (1979) The Classical Guitar. In: Ford, Charles (Ed.) Making Musical Instruments: Strings and Keyboard. London: Faber & Faber. Dawe, Kevin with Moira Dawe (2001) Handmade in Spain: The Culture of Guitar Making, in Andy Bennett and Kevin Dawe (eds.) Guitar Cultures. Dudley, Kathryn Marie (2014) Guitar Makers. The Endurance of Artisanal Values in North America. *Primarily focused on classical guitar playing but often contain profiles of luthiers and articles on the history of lutherie.